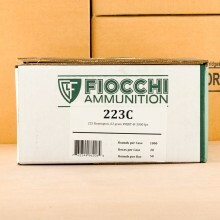 BULK 223 AND 5.56 AMMO SHIPS FOR FREE! 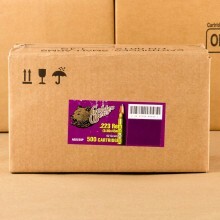 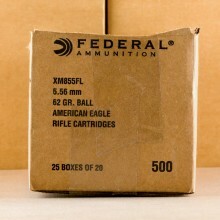 .223 ammo is one of the most popular rifle cartridges among American shooters. 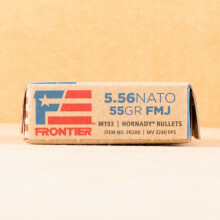 While similar to NATO-standardized 5.56x45 ammo, .223 and 5.56 rounds are not identical, so be sure you're shooting the appropriate caliber in your firearm. 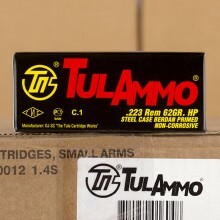 So what's the difference between 223 and 5.56 ammunition? 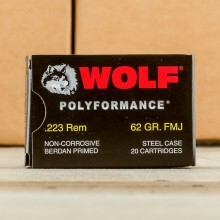 In short, 5.56 rounds are generally loaded at higher pressures than .223 ammo. 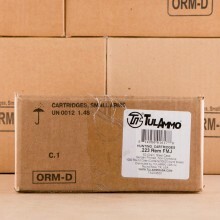 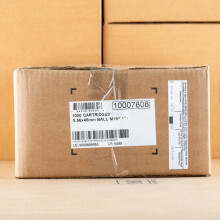 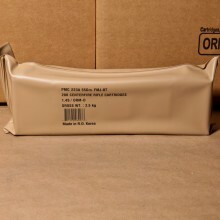 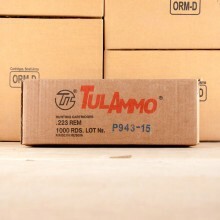 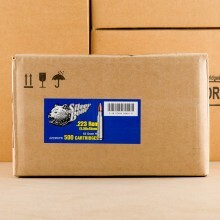 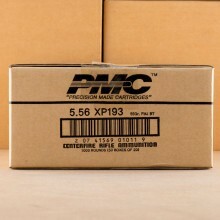 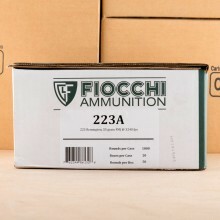 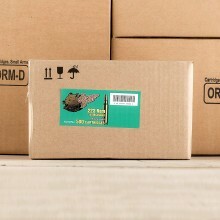 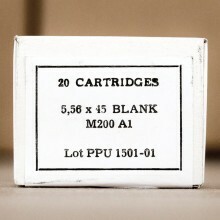 Bulk 223 ammo and bulk 5.56x45 NATO rounds in-stock! 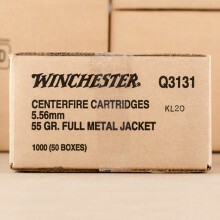 We work hard to keep full metal jacket and other projectiles as part of our regular inventory for shooters. 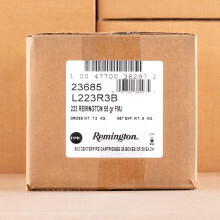 That means a steady stream of .223 Remington ammo makes its way into our warehouse almost daily so it can be shipped directly to your door. 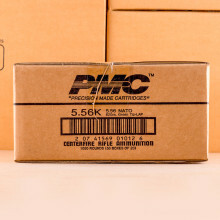 If you're looking for a great plinking round, be sure to check out any of the rounds with full metal jacket (FMJ) bullets. 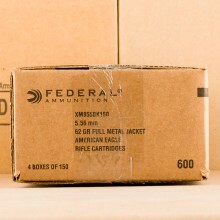 These projectiles, also commonly referred to as "ball ammunition" are not designed to expand upon impact with a target and generally offer a more cost-effective solution for the range. 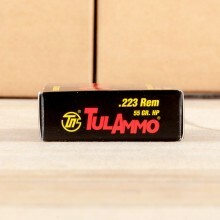 Because of the speed .223 ammo travels, many shooters elect to use full metal jacket rounds for self-defense as well. 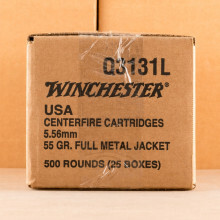 There are, however, jacketed hollow point (JHP) bullets often available for AR-15 rifle shooters who prefer an expanding bullet. 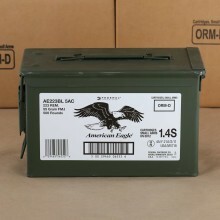 You'll typically see .223 Remington and 5.56x45 NATO ammo available in bullet weights of 55 grain and 62 grain with the lighter variety considered standard. 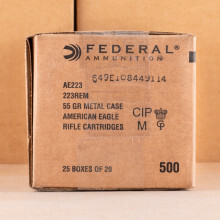 Most shooters looking for a 62 grain projectile will seek it out because it can provide a more stable flight path than the lighter, faster round. 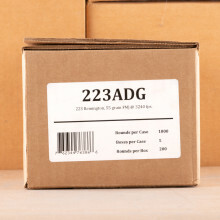 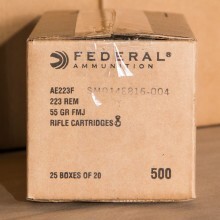 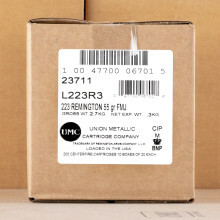 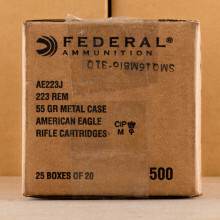 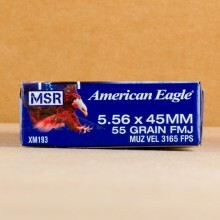 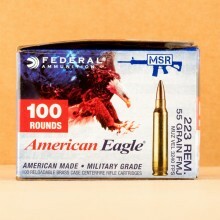 Generally speaking, Federal American Eagle, PMC, Remington, as well as military surplus rounds are generally the most sought after 223/5.56 ammo we carry here at AmmoMan.com.